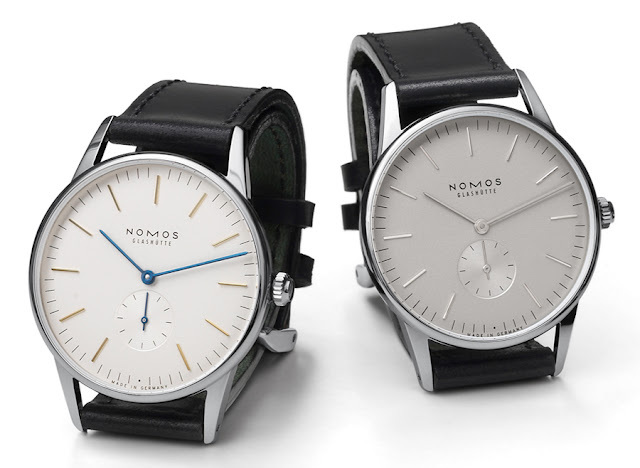 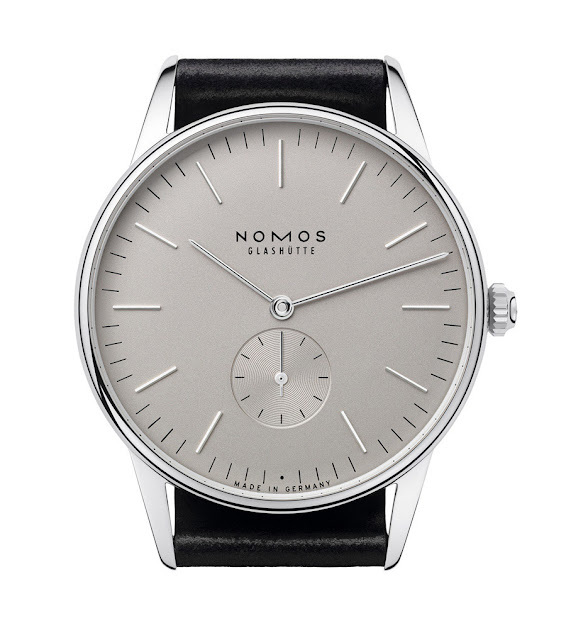 One of the Nomos novelties at BaselWorld 2013 was the Orion 38, which increases the diameter of the classic Orion model while making it thinner (height is 8.86 mm). The 38 mm case looks even bigger as a consequence of the thin bezel and the ultra-clean dial. 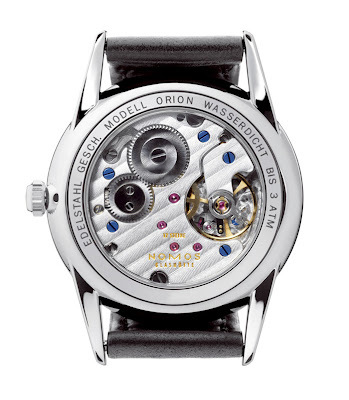 Two are the available versions: the Orion 38 (ref. 384) with a white silver-plated dial and tempered blue hands and the Orion 38 grau (ref. 383) with gray rhodium plated dial and polished rhodium plated hands. 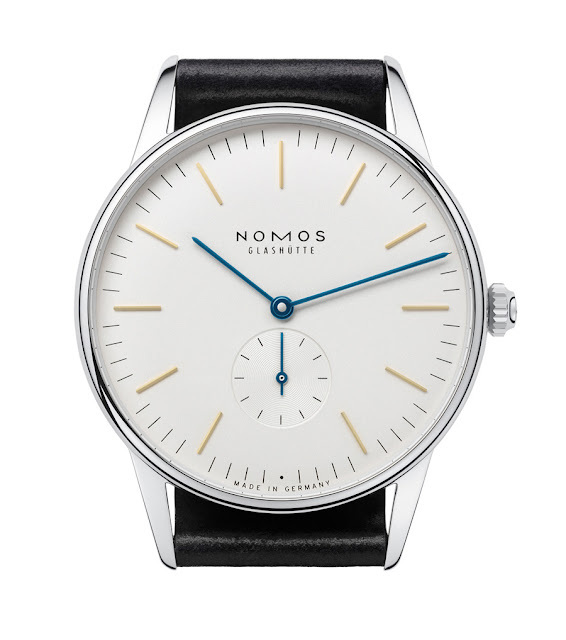 The new case houses the reliable Nomos hand-wound Alpha movement visible through the domed sapphire crystal case back. The Orion 38 is water resistant to 30 mt and comes with a hi-quality Shell Cordovan leather strap.